The U.S. Post Service just announced they can no longer afford to pay into their employee pension plans because they are out of money. They are currently running a $238 billion deficit over the next decade, with an $8.5 billion deficit in 2010. 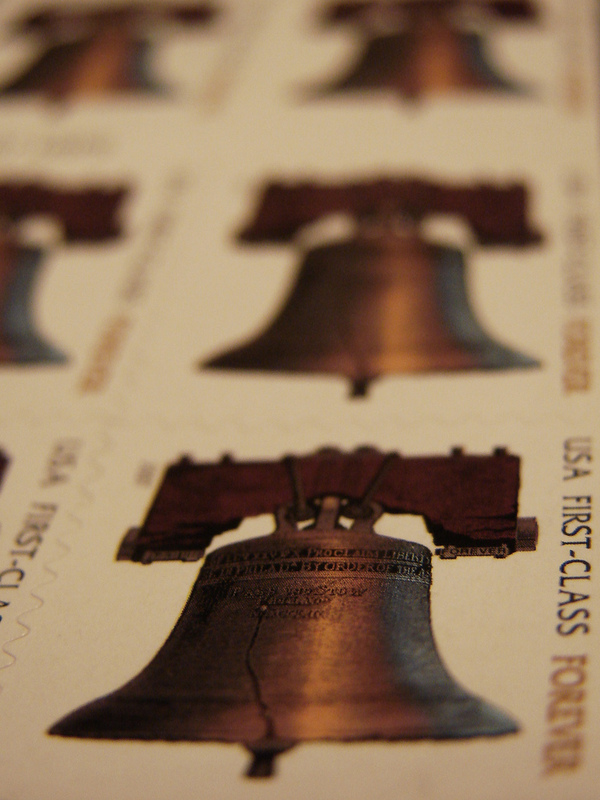 The USPS will require us to provide a taxpayer-funded bailout. It is only a matter of time. Besides, the government does not want to include this in its debt, especially when everyone is screaming about the debt ceiling, so they are happy to just keep this as an “off-book” entry which is illegal in the private world, but okie dokie for government. Do you remember the days when the Post Office delivered twice a day? They used to. As debt mounted they cut back to once a day. Now as debt skyrockets they want to end Saturday delivery. It’s like Alice in Wonderland to me…it takes a government agency to cost us $238 billion in debt and at the same time, cut back on the service it provides even while demand for letters has plummeted due to the rise of email. So less demand+fewer services=higher cost? What? Of course, the Postal Workers Union will not approve a Saturday delivery cut, they just want the politicians to go back to the well for more money. The ‘well’ is you. Government Unions…they need to be obliterated from the surface of the earth. Unlike the private sector, where a greedy union will simply make their company go out of business (GM’s Labor Union Government-Funded Bailout notwithstanding), a government union can just keep asking for more money no matter how inefficient they get or how much they raise salaries, bonuses, pensions and healthcare plans. They can always go back to the ‘well’ for more without ever being afraid of going bankrupt. This is just one more reason why the debt ceiling must not be raised. The debt ceiling is where it is because everyone is coming back to the ‘well’ for more, and if we raise it again, we are just giving them what they want. More money. It is believed that Congress will not authorize an increase in stamp prices because they do not want to give the impression that we are in an inflationary cycle, which we are. As a result, you might want to stock up on Forever Stamps as a cheap way to hedge against inflation because at some point, the Post Office will be bailed out with your tax dollars and stamp prices will go up. In fact, many Americans have already begun stocking up on Forever Stamps for just this reason (I bought $200 worth for my own use or to sell later), which means the financial pain for the Post Office will be even greater in the future. Once they raise stamp prices, people will stop buying stamps and fallback on their Forever Stamp stockpile which means a drastic drop in stamp revenue for the Post Office at precisely the time they need it the most, which will only increase their deficit spending which will lead to yet another rise in stamp prices and/or another taxpayer bailout and/or another push to raise the debt ceiling. The solution: Allow mail to be carried by the private sector. FedEx and UPS already do an excellent job but they are not legally permitted to carry regular mail. They want to. Do you know what we call that? A monopoly. That’s right…our own government that routinely rails against private sector monopolies has a few of its own, but they don’t like to talk about them because they don’t want you to be aware of this fact. In a free economy, a monopoly can not exist. It takes government intervention in the form of subsidies, preferences or regulations to create a monopoly. In this case, the government has used laws to ban competition in the mail carrying industry which effectively allows the Post Office to run as costly and as inefficiently as it wants, with no fear of competition. So what does that get us? It gets us a $238 billion dollar debt to be paid by taxpayers for delivering the mail all with reduced services and bloated, over compensated postal workers living off the fat from the income you work hard to earn.